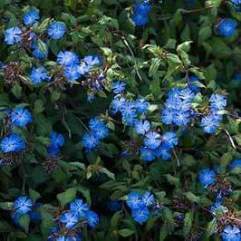 A smaller version of Ceratostigma griffithii. 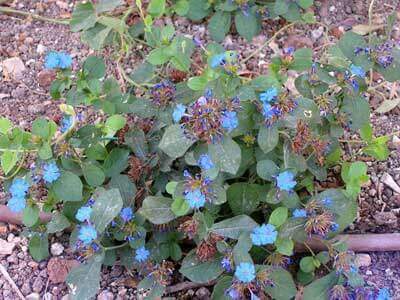 A gorgeous deciduous shrub with royal blue heads of round flowers. 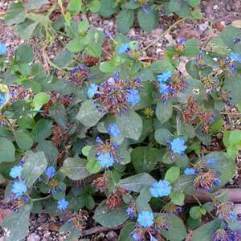 Flowers in summer and autumn.